Base Interest Rate (BIR) in Bulgaria stood at 4.58% in December 2007, which is 1.32 percentage points up from December 2006, Bulgarian National Bank said. The average interest rate on interbank deposits in BGN in December 2007 reached 4.87%, 1.35 percentage points up compared to the same month 2006. In December 2007 LEONIA Reference Rate1 was 4.68%, which is 1.25 percentage points above its December 2006 level. The yield to maturity on BGN long-term government securities on the secondary market rose by 1.01 percentage points y/y to 4.72%. The long-term interest rate stood at 5.08%, or 0.90 percentage points up from a year ago. The average interest rate on BGN-denominated overdraft and long-term loans of the Non-financial Corporations rose 2.59 percentage points to 9.24%, and 0.88 percentage points to 9.83%, respectively. 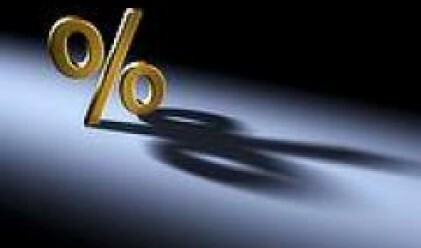 For short-term loans it decreased 0.25 percentage points to 8.46%. In December 2007 the interest rate on BGN-denominated overdraft of the Households sector stood at 13.27%. The average interest rate on BGN-denominated long-term loans for house purchases was 7.83%, while those on consumer and other loans rose 0.26 percentage points to 10.18%, and 0.07 percentage points to 12.14%, respectively. The average interest rate on BGN-denominated overnight deposits of the Non-financial corporations sector in December 2007 stood at 0.62%, and on BGN-denominated time deposits with maturity of up to 1 month at 4.04%. The average interest rate on BGN-denominated overnight deposits to the Households sector rose 0.11 percentage points last year to 0.93%, while the average interest rate on BGN-denominated time deposits with maturity of up to 1 month increased by 0.71 percentage points to 3.99%. Interest on deposits redeemable at notice reached 2.61%.